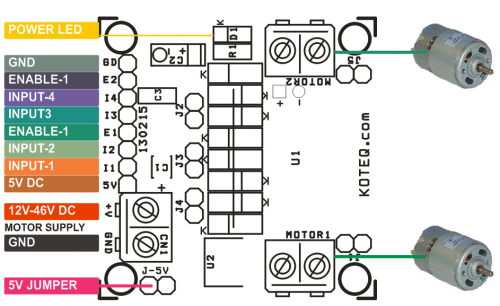 Dual Motor L298 H-Bridge Control project can control two DC motors connected to it. 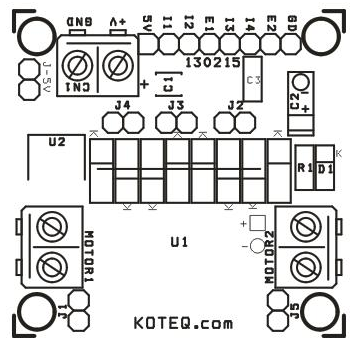 The circuit is designed around the popular dual H-Bridge L298 from ST. 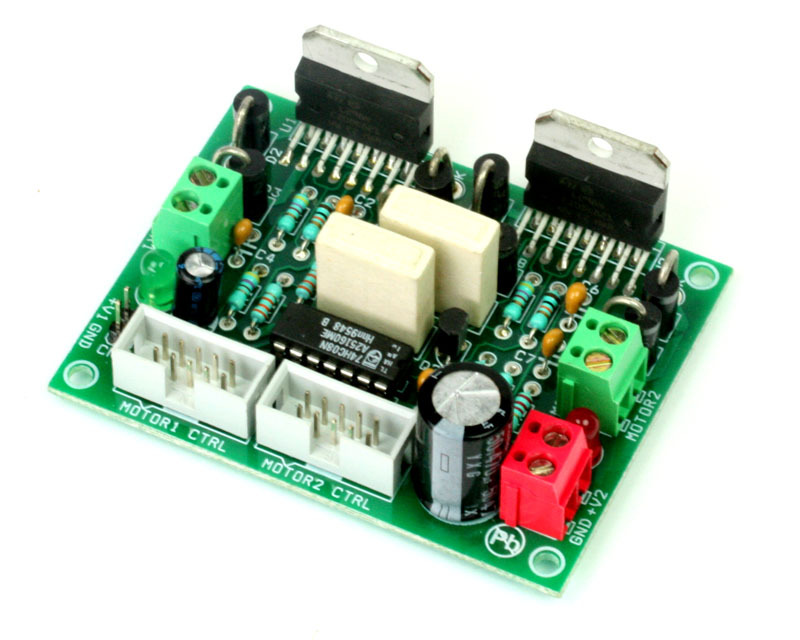 This board can be configured to drive a single motor with high current rating also. 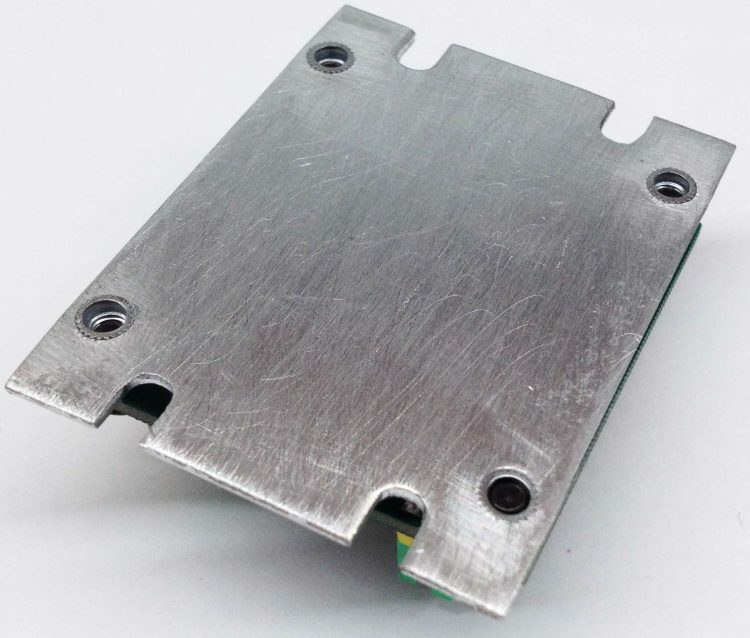 This can be achieved with the help of jumpers on the board. 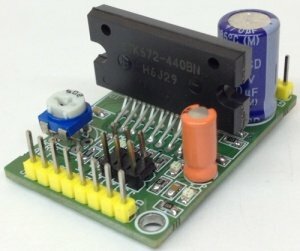 An onboard 5V regulator can take a maximum of 18V of DC input. 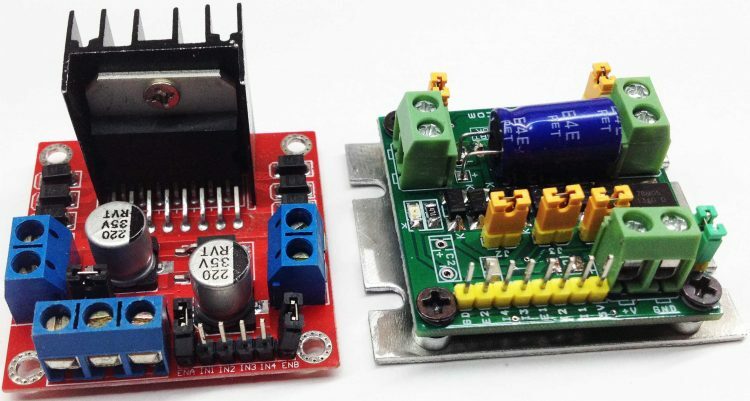 Should you wish to drive this board with higher voltage than 18V, you will need to connect a external 5V regulated source to the logic circuit. 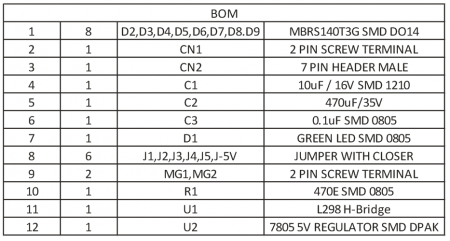 For this you will need to remove J-5V. 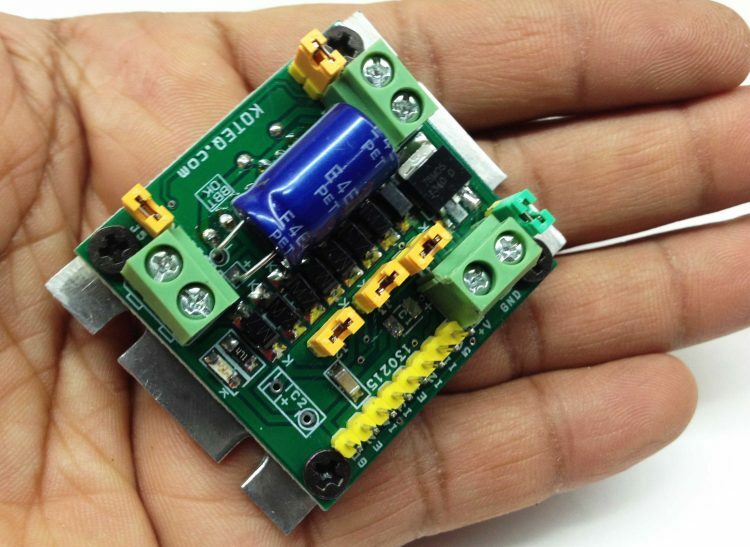 This board can fit in any small toy or robot due to small size and very low profile. 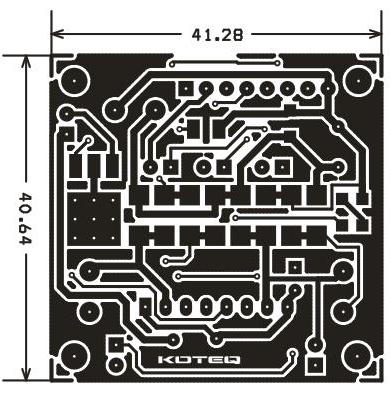 L298 IC is mounted under the PCB in horizontal position to make board small and low profile to fit any small robot. 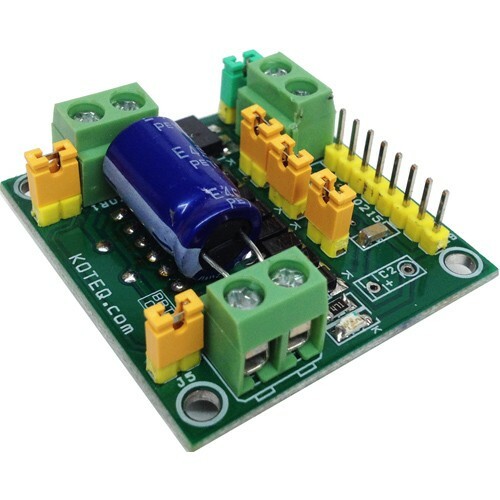 On board 5V regulator can be used to power up external Micro-Controller board as well as internal logic supply. Great! 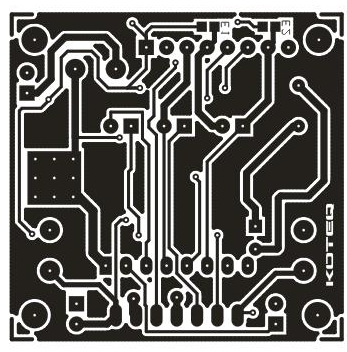 So I call this website a engineering university. Gracius. Thanks for your kind words, they are really encouraging to us. 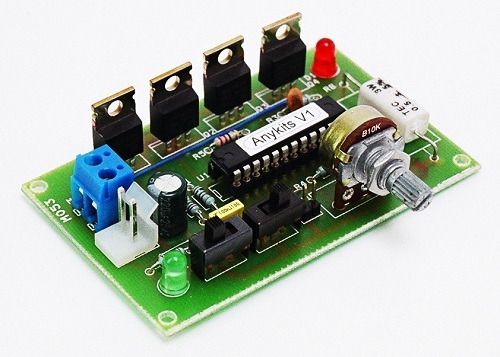 Hello, what is the function of diodes D2, D3, D4 and D5? 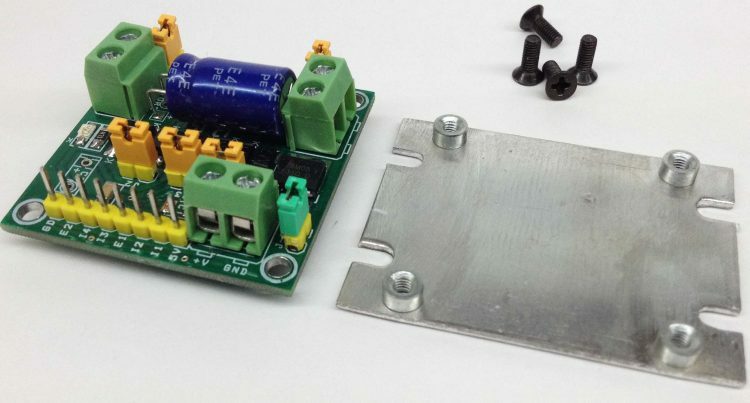 These diodes are used to protect the IC from voltage spikes.